The Keep It Moving personal training service is all about optimal results, remaining motivated, achieving your dream and all within a time bound frame. As a former top level athlete I understand and appreciate the demands and lifestyle changes required to accomplish those objectives. I recognise that every client is unique and requires a bespoke programme tailored to their needs, to achieve their goals. 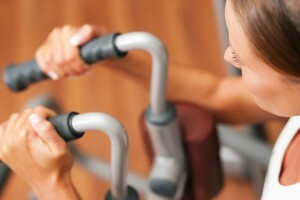 Personal training does not begin and end with a one hour session in the gym. It is about having someone guiding you through your entire journey into health and fitness. This includes your training, your diet, your lifestyle and all the support services required to ensure this happens. I offer high quality gym based weight or fitness training sessions alongside dietary and lifestyle programmes, tapered individually to the customer’s needs. With each client as my primary objective, I initially assure them of their potential to excel and then work alongside them to achieve that. Mutual trust is ultimately the biggest factor and a unique diary specific only to themselves and our agreed plan of action will be drawn up and strived towards on a weekly basis. This will supply us, as a team, a visual blue print of our success over the period of our liaison, enabling the client to look back on their progress at any stage and forward into a better future.